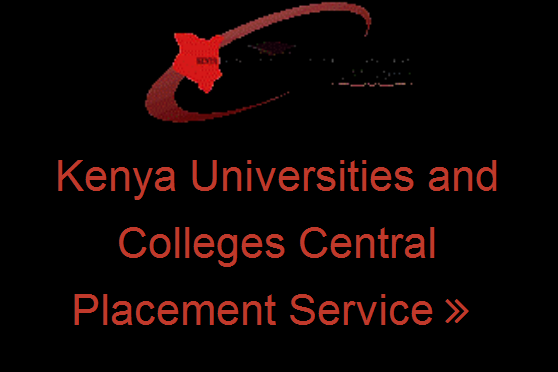 Kenya Universities and College Central Placement Service (KUCCPS) is the official body mandated by the government to place candidates to different universities and colleges in Kenya under government sponsorship. This is the first step. You are required to select the course you want to do in University or College at the KUCCPS Website during the first revision. This revision goes for about one month. “Congratulations! The Placement Services Congratulates you on being placed to one of your choices in the recently completed revision. Further details on your placement will follow at the official release of the Placement Results. What Next After first Revision placement? If you have been successfully placed after first revision, relax and wait until those students who are doing second revision are placed. Don’t be worried about the university and course which you have been successfully placed as that will be communicated later. All you have to do is just wait for some months for further updates. You are required to do second revision if you have not been placed after first revision. Failure to do second revision if you were not placed in first revision means that you will have to organize for your university education alone as a private sponsored or self sponsored student. You will only be able to apply for helb once you receive your admission letter. This is because your admission number is needed for HELB application. Universities will start sending admission letters once students who did second revision are placed. That normally takes place between the month of August and Settlement. Also NOTE that most universities this day don’t send admission letter for posta. Do not miss all our Latest updates on revisions, placement, admission and requirements! when will i be notified if placed after application? when will admission letters be posted? I applied for this courses 2017 until I paid the amount that was required from me but I did not get any feedback. I need an assistance because I still long to join and do the course of my choice. It is now 2019 and you are talking of 2 years ago application. That is serious. Just contact kuccps. am james otieno, when will i be notified after i have done my application for my placement? when you do the application for the first revision but you didn’t got any notification either to second revision could it be possible to be placed. or there is problem? will there be students who will miss to be placed in the second revision? i feel kuccps should help students in getting jobs after they complete there studies so that they can be able to pay helb loans.